Control the Lights in your Home from your Smart Device and let Hewitt Trade Services handle it all! With MyLights enjoy the comfort of being able to turn on your lights from the car, so you always walk into a brightly lit home; the comfort of being able to control your lights while on holiday, so it always looks like you’re home; and the comfort of knowing by switching to halogen lights, you’ve reduced your lighting energy consumption by up to 80%. You don’t need to study the user manual – MyLights is intuitive to use. You’ll be able to set up and program the system yourself. Between the 8-inch hub and app, you can control your smart lighting system from anywhere. Now that’s comforting! Advantage Air believe that quality is everything, their products are designed and manufactured right here in Australia. Being local, Advantage Air offer excellent after sales support and service. You have a helpline available to you, which is staffed here in Australia and they are experts in providing assistance to you. Changing the lighting has the power to change the mood. Dim the lights and suddenly dinner becomes cuisine; the bathroom becomes a spa; and everyone looks more attractive. With MyLights you can adjust your indoor and outdoor MyLights by area or individually, from night light level all the way up to full brightness. Nothing is more unsettling than when things go bump in the middle of the night. 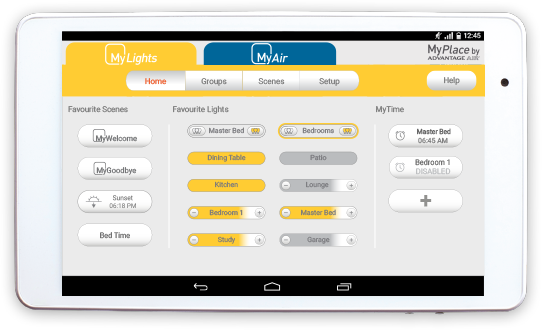 With the MyPlace app, you can instantly turn on all your indoor and outdoor MyLights from the security of your bed. If you need to investigate, you’ll feel safer in a brightly lit home. Do you prefer a clean crisp bright light, or a warm moody glow? MyLights energy efficient 10-watt LED globes come in a choice of warm, natural or cool, so you can always be seen in your best light. The light fittings sit flush with the ceiling and come in a choice of two contemporary finishes: white or brushed steel. MyLight fittings can be used inside and out, providing the outdoor area is undercover like an alfresco or portico. 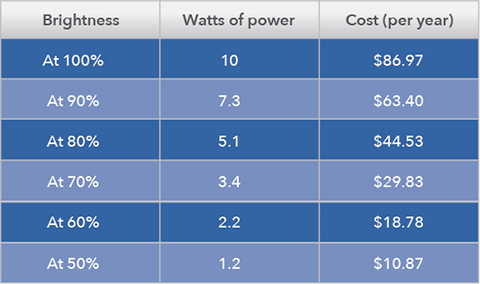 Cost figures in the above table and on the bar graph on the right are based on a home with 60 LED lights running for 1.5 hours per day. 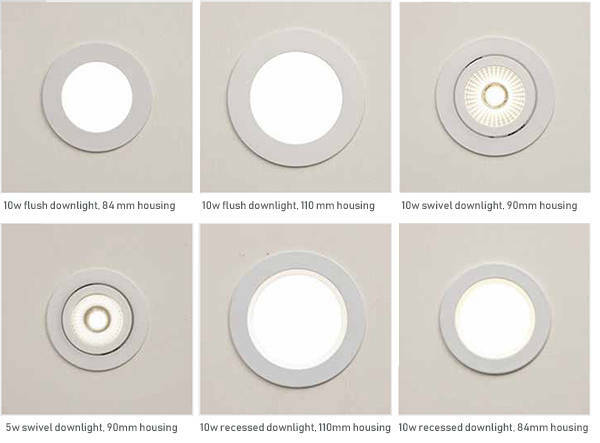 Generally, LED’s (at 100% brightness) are much more efficient than halogen lights. For instance, a house with 60 lights running for 1.5 hours per day costs the following per year. LED lights give you real savings.